As people of the digital age, you realize that the devices you use for everyday functions, including your business run on software. If you are one of those with good enough technical awareness, automation testing will not be a new term for you. However, if you have not heard of it, we will help you out! 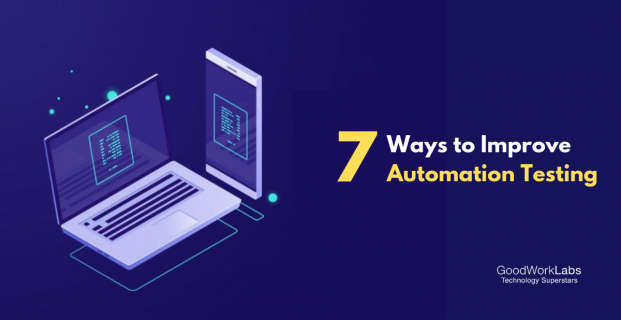 Automation testing is a process where an application implements the entire life cycle of software in very less time, providing the testing software with a lot of effectiveness and efficiency. In this automatic technique, a tester writes a script on its own and then takes the help of appropriate software to test the software. The main intention behind automation testing is to boost the test efficiency and develop the value of software. Automation testing helps in uncovering those parts of a code which are not getting tested. A low automation code coverage surely has an impact on the product quality, putting irrelevant pressure on testers to manually check it. Long-running projects also come with a long list of deliverables which leads to heavy pressure. In a bid to fulfill the delivery deadlines, the automation tests get avoided. A legacy app which is not suitable for unit testing. It is an issue where the entire logic of the app is in the database queries as it stacks some tests but with very few unit tests. You can include your test cases in story cards, along with the acceptance criteria highlighted by Business Analysts. It motivates developers to adapt to a tester’s perspective, helping them understand what tests should go in which layer of the test pyramid. If the testers write test cases in advance, they can plan out easily for story testing. Make a point to include Quality Analysts in estimation sessions and let them be accountable enough to explain the roadblocks like additional data setup requirements or even a change in approach to testing. For instance, a change in code might look small but can have a pretty massive impact on the entire application. It will require more tests which means a 1 pointer story might not be so. Quality Analysts can be instructed to check automation tests which constitute a part of the story, on DevBox. It helps to ensure that all the functionalities are in working order and no existing tests have broken. It is a phase where testers and developers discuss if the written tests are in the appropriate layers of the test pyramid and the data setup is right. If quality analysts keep an attentive eye on the Github commits of all features and sub-features which have been picked up for testing, a better scenario of API and pending tests can be created. It helps the testers make a note of all impact areas. For example, if a change of code at a particular area impacts a functionality, automated tests for the affected functionality can be written. Comparison of the release branch with the master branch is advantageous when automation test coverage inclines a little negatively with the release along with a large manual regression phase. Such a situation does not let the efforts of testers go in vain on the unaffected areas but stays focused on the functionalities affected. Publishing the code coverage reports of test suites for the full team will put a lot more emphasis on writing tests for automation. Also, if the tool becomes a part of the build pipeline, the pipeline can be failed on a drop which goes below a pre-decided threshold. For example, an existing coverage of code can be 45% while the benchmark is at 40%. If the development of a new story gets concluded without any tests, the coverage can then come down to 35%, failing the build as it could not meet the criteria. It is a practice which is helpful to all the stakeholders be responsible for automation on equal terms. Code covering metrics can also be helpful for teams to identify automated areas and restrict the use of manual regression cycles, thus bringing a stop to manual testing. Once a coverage report is all set, it is an excellent option to analyze functionalities which correspond to a code. The next step is to create test cards for these functionalities. Getting an automation backlog board ready in the project management tool with test cards lends visibility to the work which is to be completed and ensure product quality. The backlog will require attention and time for improvements on code coverage. Quality Analysts and Business Analysts can examine and prioritize on the backlog cards and to automate per iteration and minimize the backlog. 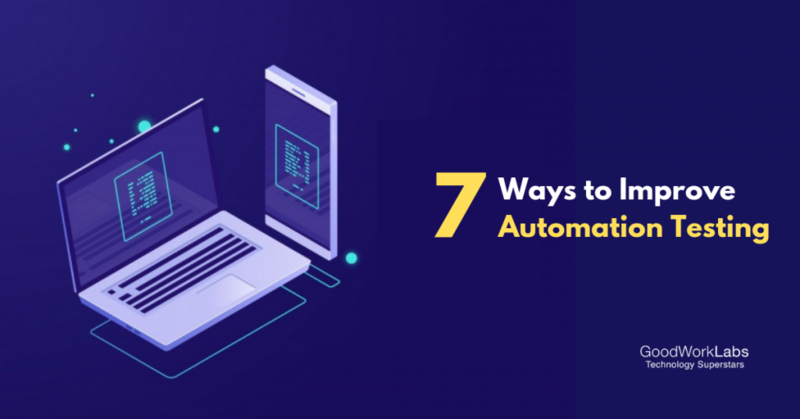 Try to include Quality Analysts when it comes to the writing of automation tests, which can be between the iterations or at the time of regression. Allot the functionalities among the Quality Analysts to inculcate a feeling of ownership and responsibility for closing backlogged cards. Keeping track of ROI in terms of time saved can prove to be an essential record to seek approvals to clear an existing backlog. Thus, making sure that a developed product is of high quality is a collective priority of a project team. It is important that the entire team has a good understanding of the test pyramid so that the right kind of tests slot into the correct layers of the test pyramid. All the ways mentioned above if brought at the correct time will help in easing the automation backlog in a project. Quality Analysts can not only a dream but also get to their goal of great automation code coverage. If you have any queries and are looking for help with automation testing, then let us help you. Contact us here and we will get back to you shortly.